David Cobb’s photographs are an extension of the connection he feel with the outdoors and the wilderness, and they reflect my deep respect for nature and the fragility of the environment. 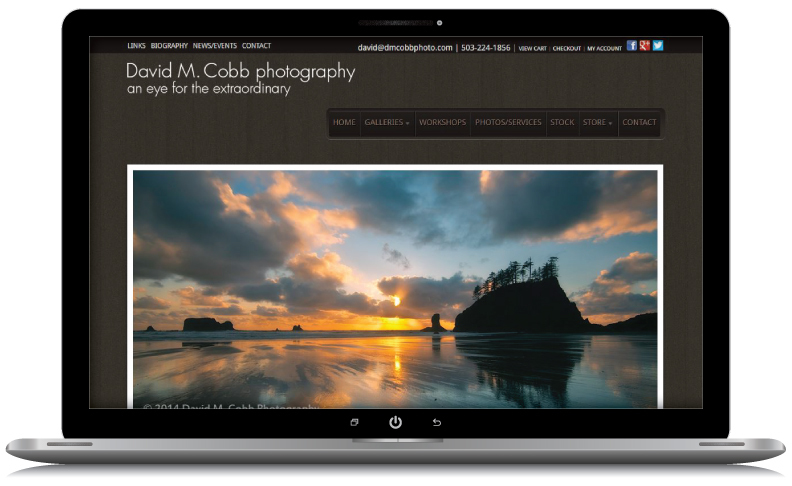 Webrock Design helped bring David’s connection to nature in to the look and feel of his site, by allowing David’s stunning visuals to tell the story. Webrock also incorporated an easy to use ecommerce site to facilitate his workshop bookings and product purchases.